The airways protect the body by producing and clearing mucus from the airways. The mucus is largely produced by specialized mucus glands in the airway and the mechanisms of normal and excessive mucus production are not well understood. However, this newly discovered lung stem cell for the mucus glands will likely yield new insights into this critical process. 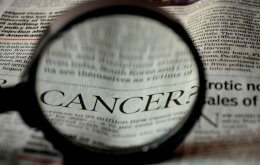 The study appears in the June 27, 2011 issue of the peer-reviewed journal Stem Cells. Ahmed Hegab, a postdoctoral scholar in Gomperts lab and first author on the study, named the newly discovered cells sub-mucosal gland duct stem cells, because they are found in the ducts where the mucus is first secreted. Hegab and Gomperts had been looking for the lung stem cells for years, and created a model of repair of the airways in order to identify the location of the stem cells. Once Gomperts and her team proved that the lung stem cells existed and found where they “lived,” they set out to isolate them and confirm that they could self-renew, or grow more of themselves, and differentiate, turn into the cells that make up the mucus glands and surface epithelium. They created model systems in which these isolated stem cells did, in fact, make mucus glands with all the types of cells required to make mucus and repair the surface barrier of the large airways. “Our ability to identify the stem cells and their regenerative ability has implications for the possible identification of novel therapeutic targets for airway diseases and potential cell-based therapies in the future,” the study states. The stem cells also may play a role in tumor initiation in lung cancer when the repair goes awry, although further study is needed to confirm this, said Gomperts, who is also a member of UCLA’s Jonsson Comprehensive Cancer Center. This study was funded by the California Institute of Regenerative Medicine, American Thoracic Society/COPD Foundation, the Concern Foundation, UCLA’s Jonsson Comprehensive Cancer Center’s Thoracic Oncology Program and Specialized Program of Research Excellence in lung cancer, the University of California Cancer Research Coordinating Committee and the Gwynne Hazen Cherry Memorial Laboratories.